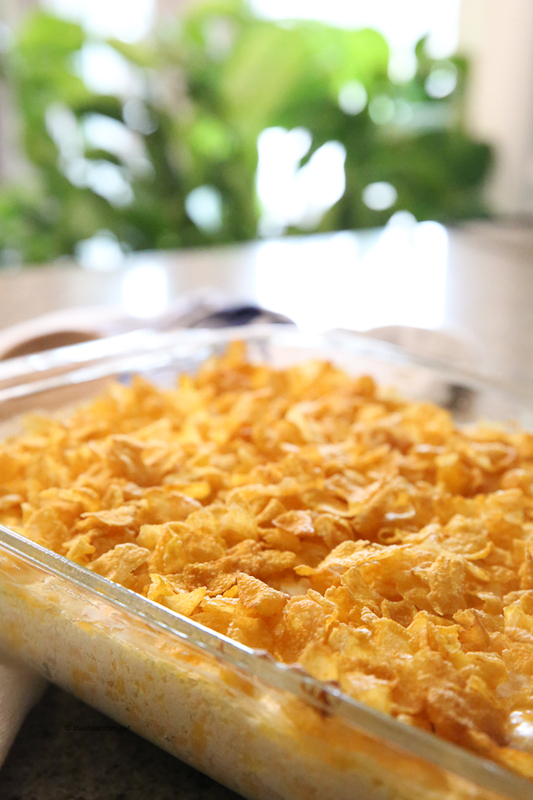 These oven baked Cheesy Potatoes are the perfect side dish casserole your whole family will love. 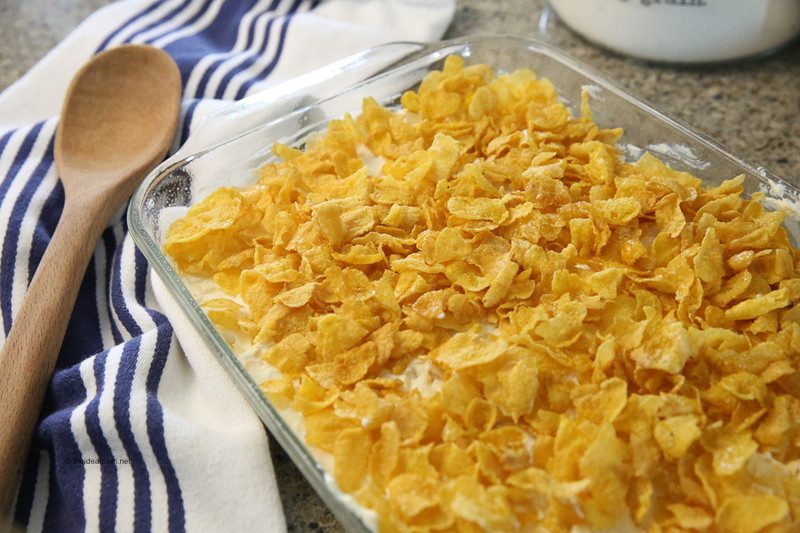 This Cheesy Potato Casserole is filled with cheddar cheese, sour cream, hash brown potatoes and a tasty, crunchy cornflake topping! 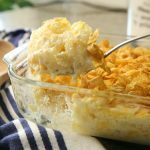 This Cheesy Potato Recipe is also known is some areas as Funeral Potatoes. 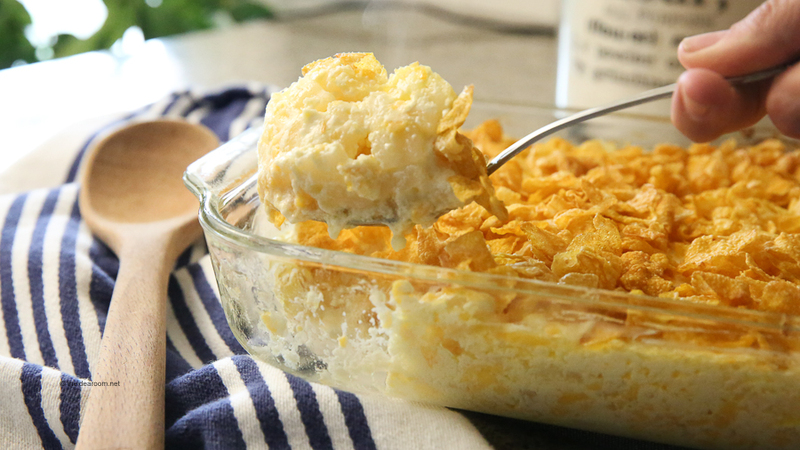 Why Funeral Potatoes? Such an unfortunate name, but they have earned that nickname because of their popularity. A potato dish that so many love, it has been served up to family’s at the funeral of their loved ones as a delicious comfort food in a difficult time. If you are using frozen hash brown potatoes in your cheesy potato casserole, you can put the thaw the package of frozen hash browns in the refrigerator overnight. Or, you can empty the hash browns into a bowl or strainer, cover, and let stand at room temperature for about 30 to 40 minutes. Drain off any excess liquid before using the thawed hash browns in your recipe. We usually don’t have very many leftovers when we make these cheesy potatoes. But if you do, you can easily reheat them and eat them as leftovers or as a midnight snack! Reheating on the stove or in the oven is the best way to get your leftovers warm without making them soggy. Cover your potatoes with a layer of foil or an oven-safe lid. Preheat your oven to 350 F, and place the dish on the middle rack. Cook for 15-20 minutes or until the potatoes are warmed all the way through. Combine sour cream, soup and butter in a large mixing bowl. Mix it well. Add salt, onion and cheese to this mixture and mix until all combined. Add potatoes to mixture and stir until all combined. Place in greased 9 x 13 pan. 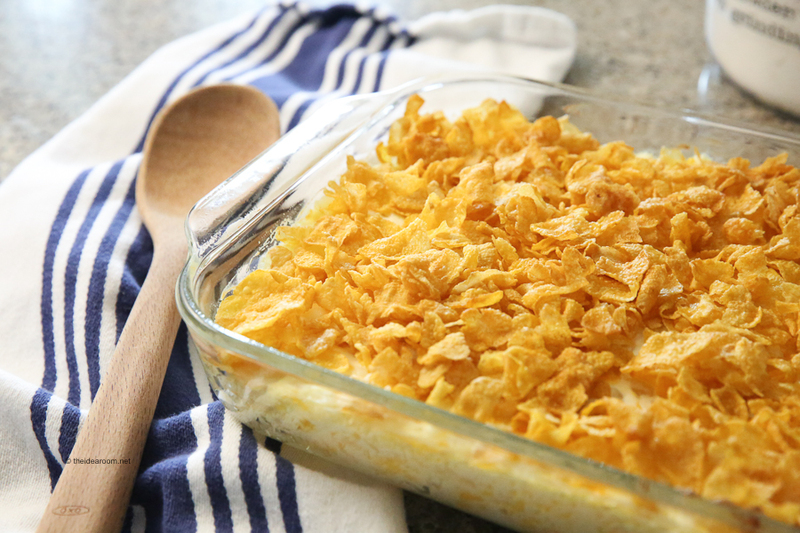 These oven baked Cheesy Potatoes are the perfect side dish casserole your whole family will love. 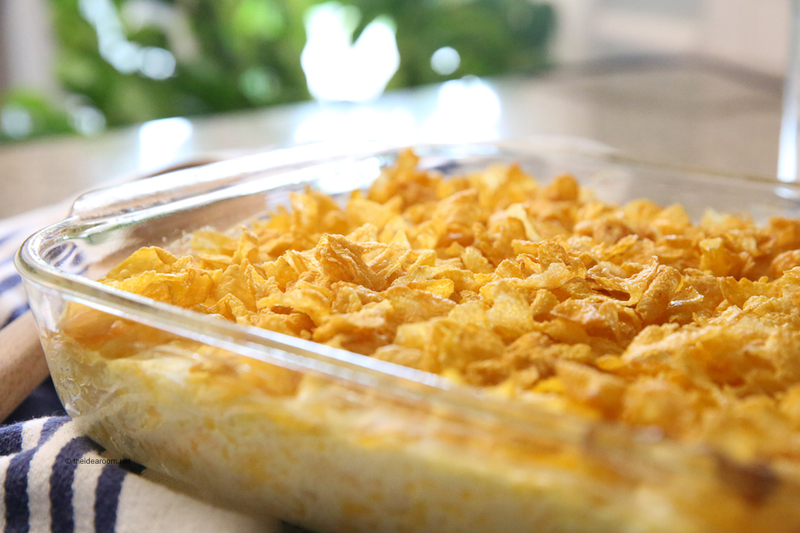 This Cheesy Potato Casserole is filled with cheddar cheese, sour cream, hash brown potatoes and a tasty, crunchy cornflake topping! Add potatoes to mixture and stir until all combined. Place in greased 9×13 pan. These potatoes are so delicious! You might want to double them so that you have enough to go around or some to save for later! These are always a hit and are always requested as part of our Easter Dinner. 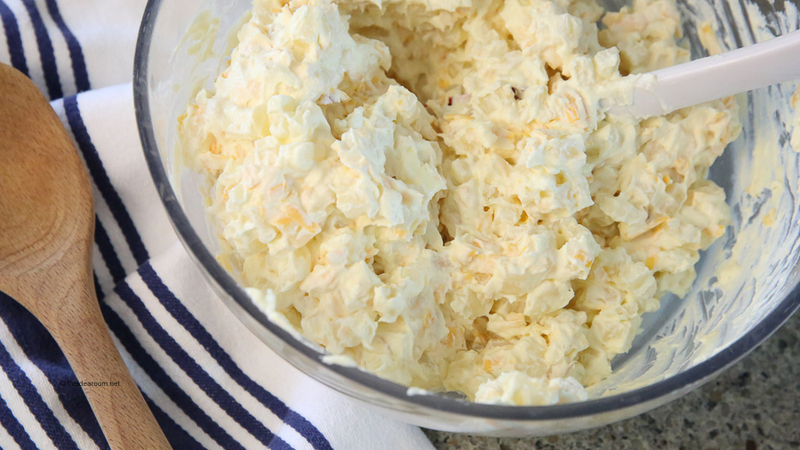 This recipe is included in our Side Dishes Recipe eBook. We have 26 delicious family favorite Side Dishes in this book! A great way to add some delicious and easy, new recipes to your family meals. You can learn more about it and grab it here. 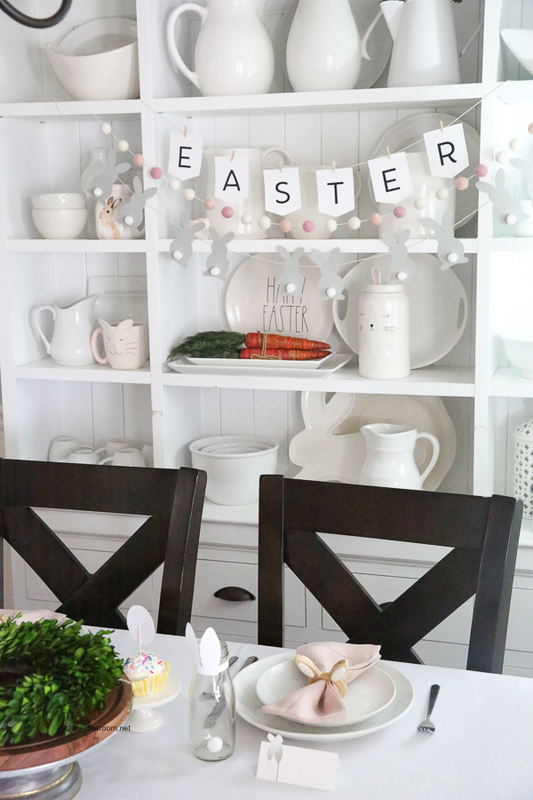 If you are serving these for Easter, you might want to check out this post and add some of our fun Easter Decorations to your Easter Dinner! Sharing recipes, printables, DIY home and craft ideas! Sign up for updates & grab our free ebook by joining us here! I gather by the description the cook time is 45 minutes. What is the oven temperature? Recipe sounds tasty. Oh!Thanks for catching that! Adding it to the recipe! Bake at 350 degrees for 40-50 minutes! Thanks! These are my favorite potatoes ever! They are cheesy, super easy to make, & always gone in minutes!